Hello !!! How are you.my name is bineta, please i will like you to contact me bineta_11amudu@yahoo.com I have something important to tell you. How are you doing today? I hope all is well with you over there?I am happy in your reply to my mail?Hope fine. My New Friend, My name is Miss Bineta Amudu i was born on 15th July 1989 (25) years old, i am single and never married, 5ft 10 inches Tall, 55kg weight, black hair and brown eyes. Dear i am from Liberia West Part of Africa and presently i am residing in a Catholic Orphanage Home here in Dakar Senegal as a result of the civil war that was fought in my country some years ago. 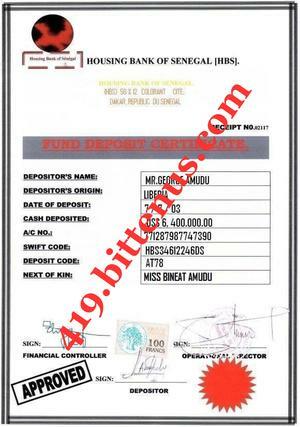 (US$6.4) that was deposited with their bank by my late father ( DR George Amudu) of Liberia for safe-keeping,which the account number is (771287987747390) Contact them and get back to me as soon as possible. MR. 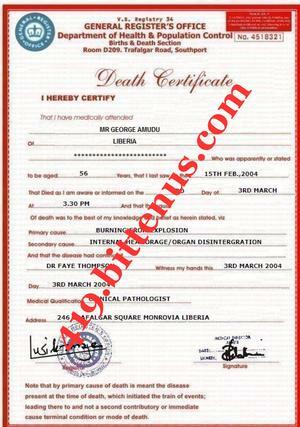 THIS IS TO ACKNOWLEDGE THE RECEIPT OF YOUR MAIL WITH THE FUND DEPOSIT CERTIFICATE AND DEATH CERTIFICATE OF HER DECEASED FATHER CONFIRMING HIS DEATH.